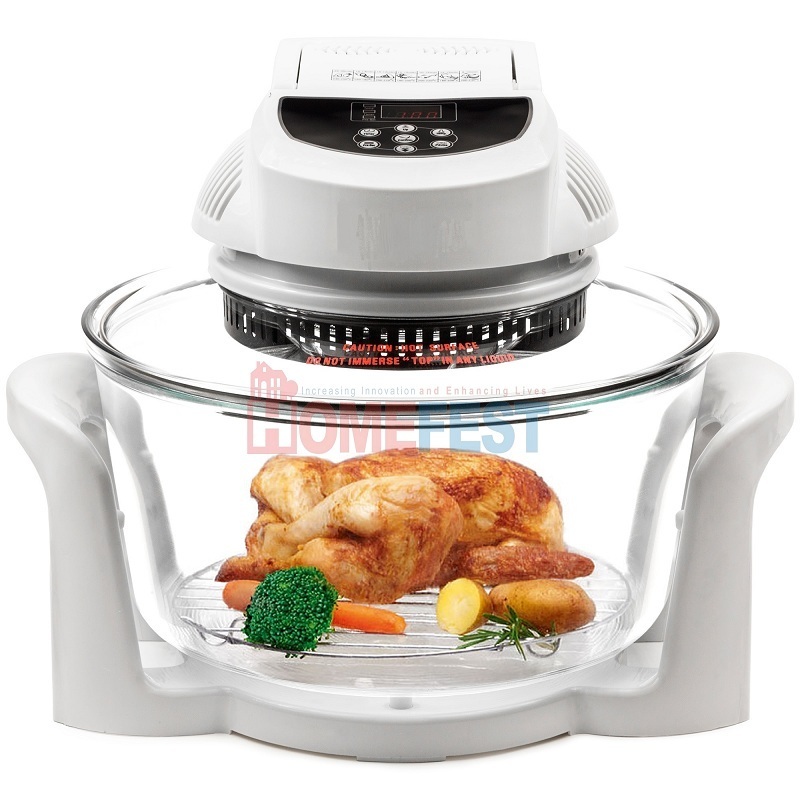 Bring modern cooking technology into your kitchen at an affordable price with the Premium Digital Halogen Oven. The 1400 Watt powered oven boasts five cooking functions which include roasting, grilling, baking, frying and steaming. Food is cooked evenly without the need to use additional fats or oils which can help reduce cholesterol intake and means the original flavours and nutrients of the food are retained. The oven is very simple to use due to the digital control panel. 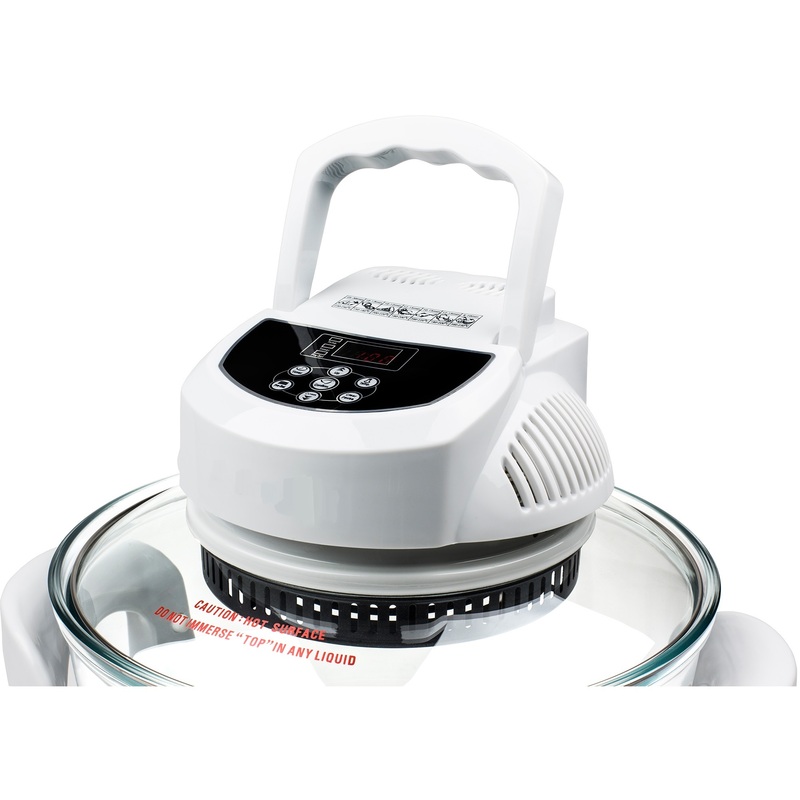 Simply select the length of time and the temperature using the digital display and press confirm to start cooking. The oven will automatically switch off and an audible signal will sound after the timer has reached zero. 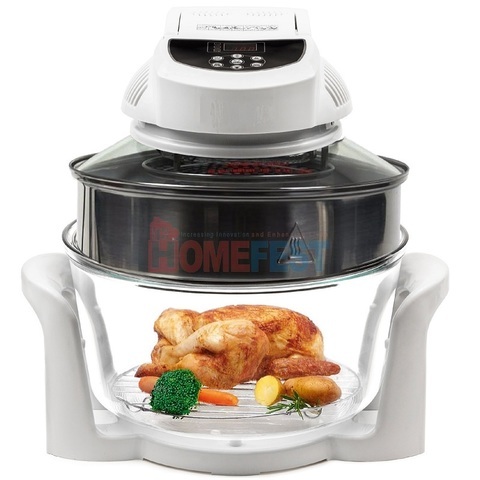 The halogen oven will take care of all you cooking needs, including defrosting and reheating food. One of the main benefits of using our halogen oven is the reduced cooking time, as it can cook 3 to 5 times faster than conventional ovens. Updated design from analog to digital controls, Delay timer & detachable power cord. Included with the premium model is a free full range of halogen accessories including high and low cooking racks, tongs, lid holder, extender ring which will extend the capacity of your halogen oven from 12 Litres to 16 Litres.